Leading Manufacturer of hdpe pipe machine, pvc pipe machine, pipe printing machine and plastic pipe making machinery from Ahmedabad. Being the prime organization successfully engaged in putting forth a wide range of HDPE Pipe Machine. The provided machine is widely demanded to the manufacture of HDPE pipes in different lengths and thickness. This machine is manufactured by our dexterous professionals with the use of unmatched quality components and highly advanced techniques. 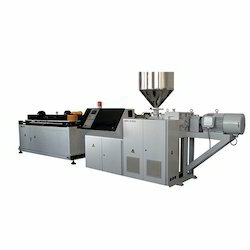 Additionally, the offered machine is made available for patrons at highly competitive prices. We are counted amongst the reckoned names in the industry, offering an extensive range of PVC Pipe Machines that are appreciated among the clients for optimum quality and dimensional accuracy. We introduce ourselves as reputed and trusted organization to offer a broad array of Pipe Printing Machine. This is used for printing the pipes. The offered range of machine is manufactured from best quality input factors and adopting latest methods of fabrication. These machines are manufactured under the supervision of skillful and experienced professionals. The offered range of product is highly demanded by the clients for its high strength and performance. We are providing these products at a reasonable market price. 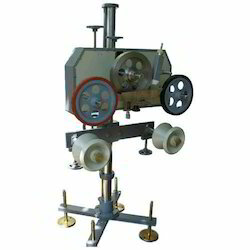 We are engaged in offering a wide array of Plastic Pipe Making Machinery. The offered range of product is extensively used in metallurgy, construction, and transportation industry. These are assembled from optimum quality components under the guidance of skilled and experienced professionals. Offered array of product is highly demanded in the market. Moreover, we assure our valued clients to provide a quality tested range that can be delivered from our end at a leading market price.